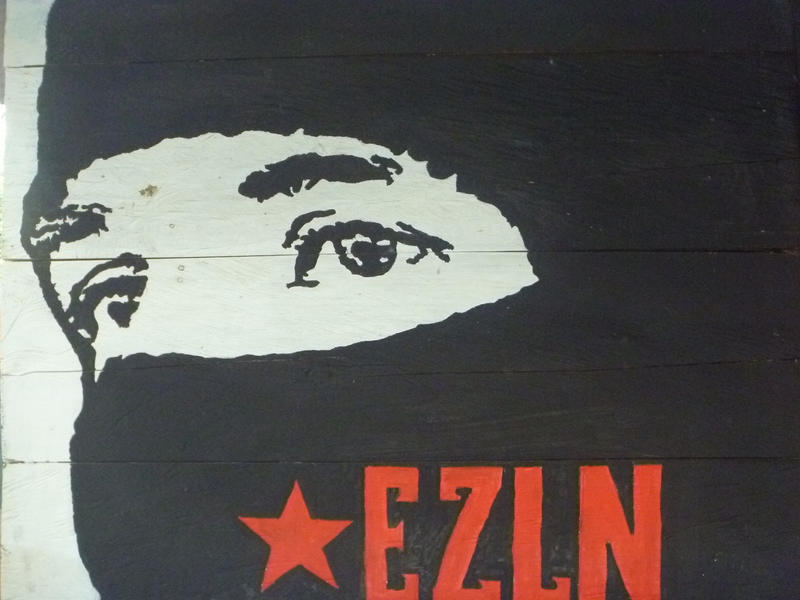 On January 30, a forum called “Let’s stop militarization. Analysis on the Interior Security Law” was convened by the Women’s Human Rights Center of Chiapas (Cdmch), the Fray Bartolomé de Las Casas (Frayba) HRC, as well as the Observatory of Democracies, of the Center for Higher Studies of Mexico and Central America. With an audience of more than 100 people, the organizations rejected the Interior Security Law (LSI) on which Julieta Hernández, from Cdmch, mentioned that “it is very serious and alarming that the LSI might be applied, so we must all be concerned, alarmed and act in some way. 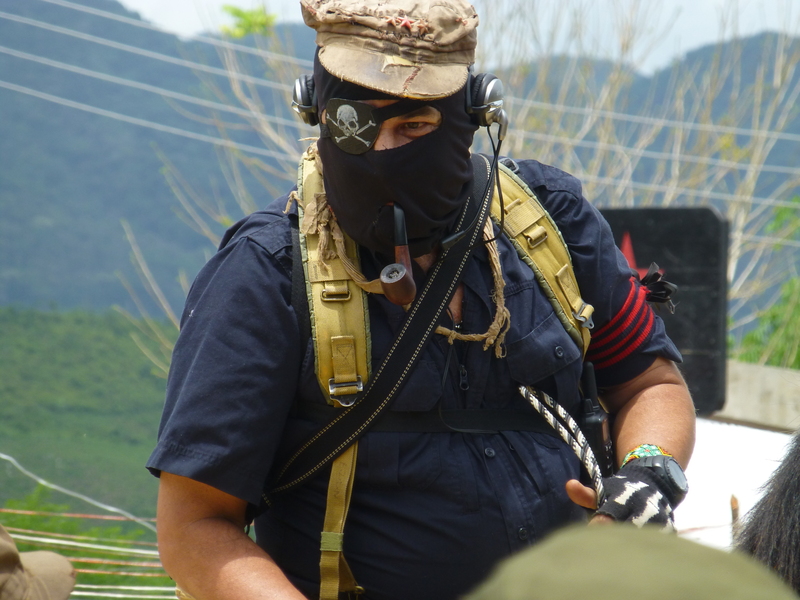 “ In response to the implementation, the organizations “called on society in general to present an appeal on the grounds of inconsitutionnality (amparo) to prevent it from being applied because what the federal government wants is to legalize the dictatorship in Mexico,” according to La Jornada. Beyond this, the organizations affirmed that in this sense would be avoided the obligation to make-professional the state police, which “also goes against international standards, particularly those that refer to the need to train and develop preventive polices rather than reactive ones.” They indicated furthermore that this strategy “has resulted in being ineffective, as has been demonstrated in the experiences of Chihuahua and Nuevo León”. 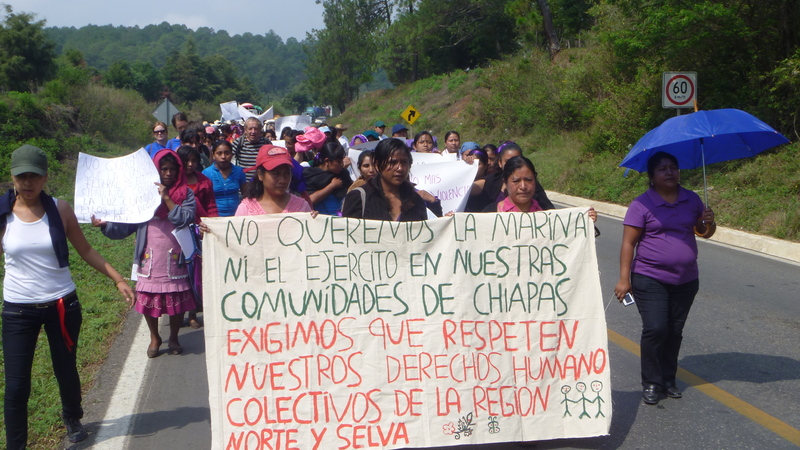 On 11 May around 400 persons, a majority of them women, carried out a march from the Teopisca municipality to Amatenango del Valle to protest against militarization, high electricity-prices charged by the Federal Electricity Commission (CFE), and mineral exploitation.